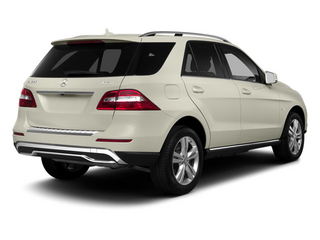 The 2013 Mercedes-Benz M-Class is one of the most refined, yet safest and most comfortable luxury SUVs available. 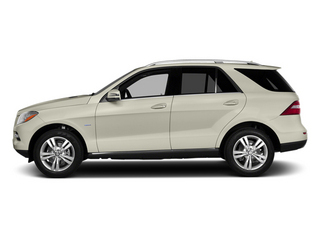 It's also surprisingly fuel-efficient--especially in ML350 BlueTEC diesel guise. The M-Class' interior has much-improved materials and detailing compared to the previous version, and it's now one of the most lavish cabins in its class. <p><p>An off-road package allows several different modes for different types of trail driving is available and allows for ground clearance of up to 11.2 inches and a water-fording depth of 23.6 inches. 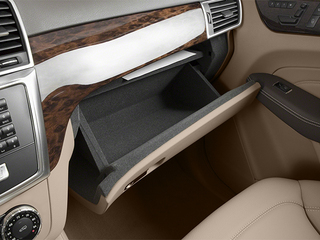 The package also includes a locking center differential and a two speed transfer case. 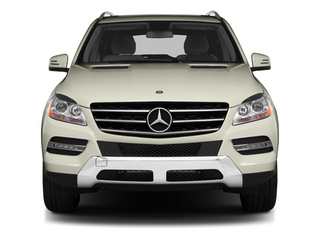 The 2013 Mercedes-Benz M-Class is available in two different models: a gasoline-powered ML350 and a diesel ML350 BlueTEC. 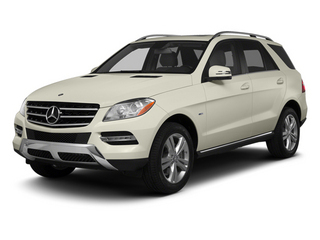 Both models are available with 4MATIC all-wheel drive, and share a very strong feature set. ML350 models come with a new-generation 3.5L, 60-degree V6 engine that's even smoother than the previous 90-degree V6 design. The engine uses high-pressure direct injection, as well as a number of other improvements to produce 302 horsepower while also returning about 2 miles per gallon better (17 mpg city, 22 highway) than last year's gasoline M-Class. 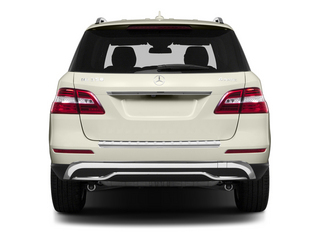 The ML350 BlueTEC model comes with a new version of the luxury automaker's turbo-diesel V6 engine--this time making 240 horsepower, as well as an extremely impressive 455 pound-feet of torque and a fuel economy rating of 20/25 mpg. For both engines, a 7-speed automatic transmission is included, and it has a lot to do with both the improved efficiency and quicker personality on the road for both of these powertrains. On diesel models, special electronically mapped hydraulic engine mounts make the BlueTEC driving experience far smoother than virtually any other diesel. 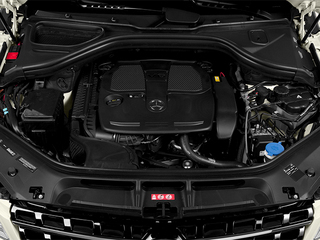 If you're willing to spend tens of thousands more, the 2013 ML63 AMG delivers track-ready performance without sacrificing all that much comfort. 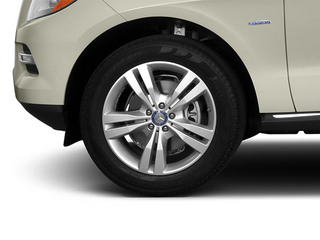 The ML63 features a 518-horsepower, 5.5L twin-turbo V8--which makes 550 hp with an available Performance Package. With it, zero to 60 takes just 4.6 seconds and top speed is 174 mph. That top package comes with details such as a carbon-fiber engine cover, painted brake calipers and a special steering wheel. 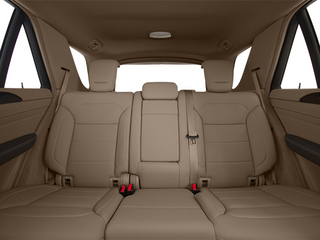 The M-Class models have only two rows of seating and can accommodate up to five adults. 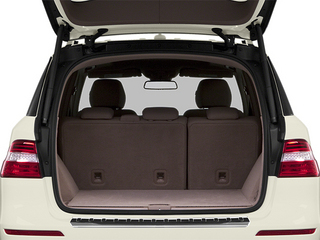 They're packaged much like other SUVs, which is to say that rear seatbacks fold forward--along with the lower cushions here--to expand the cargo space up to 71 cubic feet. 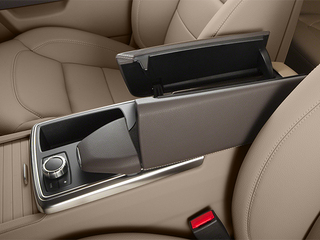 When the center position of the back seat isn't being used, there's a fold-down center armrest and cupholder, and all four outboard positions in the M-Class are excellent and supportive--contoured for adults and comfortable enough for all-day travel. 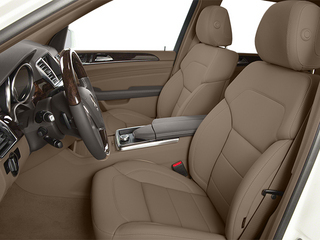 Upholstery is available either in a combination of MB Tex synthetic and a microfiber, or in all-leather. 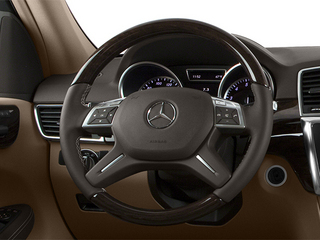 Ride quality of the M-Class is smooth, quiet and absorbent, yet steering response is quite sharp. That's made possible through a combination of technologies. An AIRMATIC air suspension keeps the body motion under control, while a new Active Damping System makes fine adjustments at the wheels and the Active Curve System works with both systems for better stability. 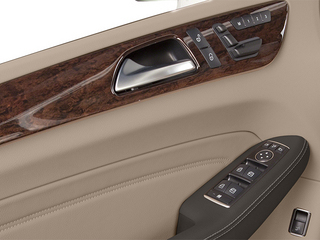 All of those technologies are included with the Dynamic Handling Package. 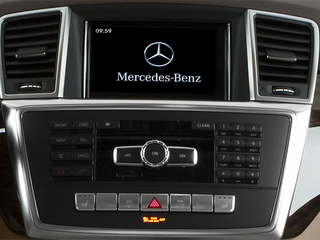 Among the M-Class' many active and passive safety features offered are Lane Keeping Assist, Blind Spot Assist, a Night View Assist night-vision system with pedestrian detection, Distronic Plus adaptive cruise control, a PRE-SAFE Brake system that will help brake if a collision is anticipated and a special lighting package. 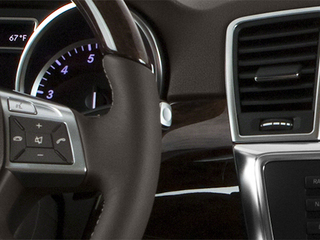 Attention Assist studies patterns in the driver's fine steering adjustments, can identify fatigue and drowsiness, chiming and flashing a coffee cup icon on the instrument panel. 1080 Wt Distributing Hitch - Max Tongue Wt. 7200 Wt Distributing Hitch - Max Trailer Wt.